aLittleBirdie.org: Please partner with us to help Adam and Kathy in their fight to save Adam's life! Please partner with us to help Adam and Kathy in their fight to save Adam's life! Now that Adam is gone, the family is left with hospital bills and burial expenses. We ask that if you feel led to help them out in this time of need, to please send a donation. We hope during this Christmas season they can begin to heal and find joy again without having to worry about their finances. From the Site Admin - I personally spoke to the landlord who does not wish to evict them, but cannot afford to allow them to stay much longer! We need $1,120 IMMEDIATELY to help them keep their place. Adam has been in and out of the hospital all his life. This most recent time has been a 2 month stay, which has left the doctors discouraged and his family desperate. Adam is 24 and needs dialysis every single day due to his failing kidneys. Complications caused the need for a shunt, so the fluid from his chest and head can be drained. Adam’s heart has given up 3 times causing him to go into VTAC. After 5 straight surgeries in a single month, Adam is still holding on. Adam is not alone. His mother Kathy has never left his side. Kathy hasn’t been able to work or earn income for food and bills. She knows that right now Adam is her most important need. She fights alongside Adam and we need your help to join them. Adam is scheduled for another surgery due to an infection in the shunt. 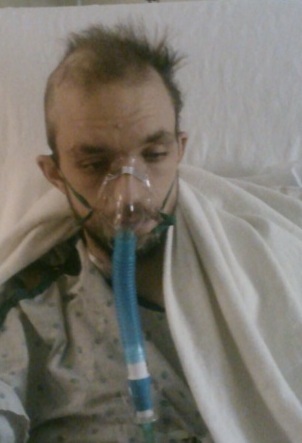 Please partner with us to help Adam and Kathy in their fight to save Adam’s life. The best way for us to help Adam is to make sure we can provide for his mother so she can stay with him in this battle. Thank you for your help to provide a way for Adam’s biggest fan to stay in the fight for her son. Make a donation in care of the Adam.